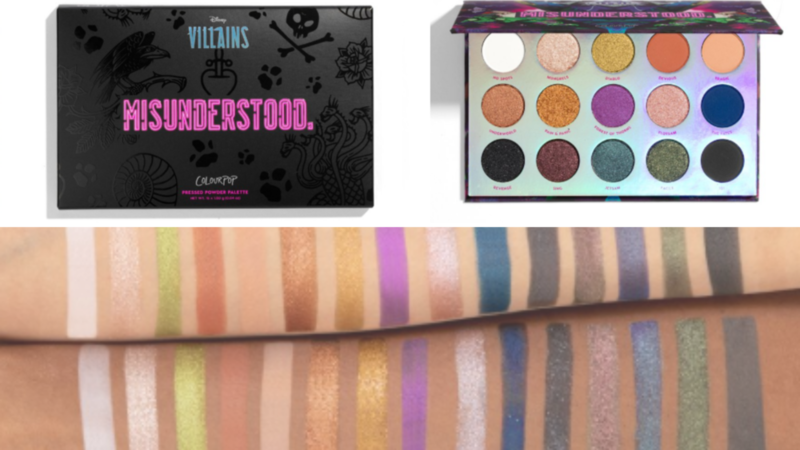 Making Bad Look So Good: Colourpop x Disney Villains — Pepper B.
Princesses are cool and all but have you tried being a little bad? It’s so much more fun. Internet beauty brand, Colourpop, has released a collection featuring some of baddest of them all. Even if Disney isn’t your thing, the colors will still have trapped in their grasp. Personally, I would’ve loved to seen a collection for Ratcliffe, Gaston, + Scar. But that’s just me. True Confession: I would love nothing more than to be cast as a Disney Villain. This collection is exclusive to colourpop.com! A mix of mattes and metallic shadows to make your evil glower all the more ferocious. Each collection has a pressed highlighter, a lipstick, and a gloss. It does not include the corresponding jelly eyeshadow. Each item can be purchased individually as well. He ruled the underworld and now your makeup collection. You may not have cheekbones like Jolie but the highlight may get you a little closer. Look at the highlight swatches! The lipstick shades held me captive. He’s got friends on the other side and now you do too. It’s hard to love someone who want to wear puppies but, dammit, she makes being bad so elegant! Transform yourself! Into an old lady with poisonous fruit or a queen or, maybe, a huntsman? 6 New Jelly Much Eyeshadows. Colourpop Is Coming To Sephora -Here's a Sneak peek of what's to come! With this $6 Concealer, You can look airbrushed, NO FILTER NEEDED!